If you’re searching for custom o-ring rebuild kits or spare parts kits for your manufactured product or service industry, Captain O-Ring specializes in assembly of custom/OEM o-ring kits. We are committed to saving our customers money and time by providing kitting serves quickly and at an affordable price. Our custom o-ring seal kits are available with standard or custom parts. We can also include additional non-o-ring parts supplied by the customer or sourced to customer spec. Captain O-Ring is proud to offer fast lead times and quick assembly turn-around in order to get your custom o-ring kit assemblies out to you as fast as possible. Click here to view more information on our standard and customizable packaging options, including sample images of our more commonly chosen o-ring/spare parts kit packaging choices. Questions? Contact Captain O-Ring LLC & Custom Rubber or give us a call at (215) 839-6565. Assortment of o-rings and a plastic o-ring pick in a zip-top bag. Click here to learn more about this packaging option. 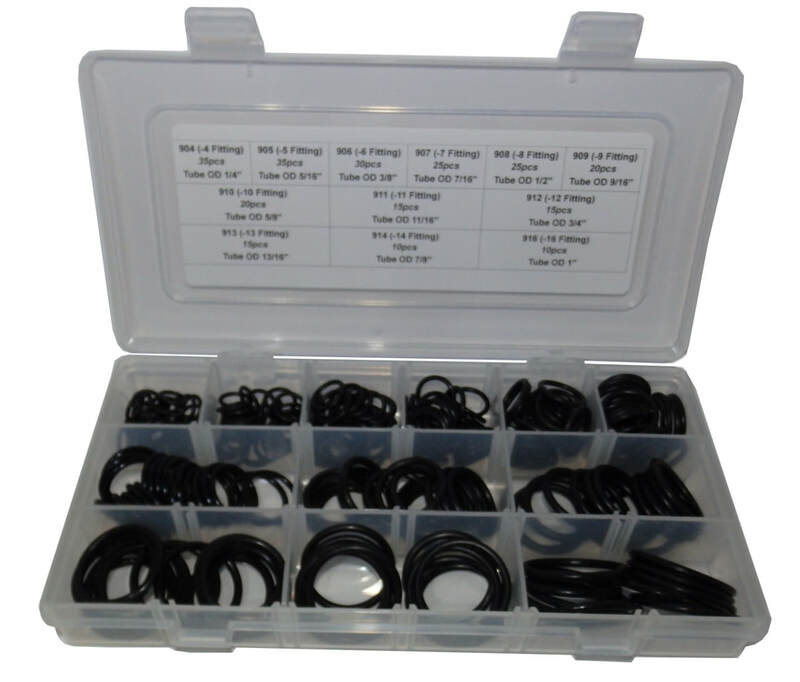 Assortment of o-rings sorted by size in a rigid plastic compartment box. Click here to learn more about this packaging option. Assortment of color coded o-rings that can be packaged in a number of different packaging options.